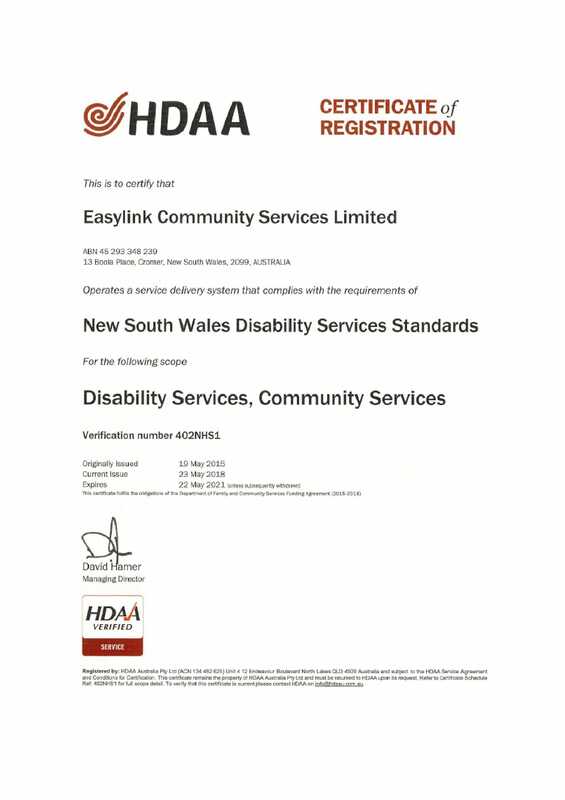 Easylink was audited by HDAA, a government approved external verification agency, to review the quality management system with the requirement of NSW Disability Serv ice Standards. The report and evidence confirm that Easylink meets all of the requirements of the NSW Disability Service Stands. This is a measure of the effort that has gone into establishing and maintaining an effective quality management system. Thank you to everyone for your contribution to ensuring Easylink provides the highest quality of service for our customers.